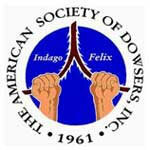 The American Society of Dowsers is having their annual Dowsing Convention in Killington, Vermont this year. I have a special soft spot for this event, because it was my first true exposure to a community of powerful, supportive, and wise dowsers. I highly encourage you all to check out the Convention Booklet and explore the pre-convention workshops. You can learn from masters about everything from spiritual empowerment, to shamanic crystal work, to labyrinth building, or attend one of the dowsing schools for different levels of instruction. New information is constantly being added regarding the workshops during the convention proper, and there are topics of interest for everyone. People of all ages attend, and I have never been around so many people emanating positive energy and (it sounds cheesy, I know) unconditional love. The keynote presentation will be given by Russel Targ, a fascinating man who was involved with the creation of the laser for peaceful uses, and helped develop remote viewing for the US government in the 1970’s and ’80’s. His speech will focus on ESP and remote viewing as a spiritual path, and how by using these abilities, we can work towards discovering who we really are. Marty Cain, an amazing lady and labyrinth builder. Joey Korn, who has made remarkable connections between the Kabbalistic Tree of Life and the energy lines he dowses in nature and made by us. Ellie Drew, a spirit messenger who focuses on conscious manifesting. Adhi Two Owls, a shaman who works with sacred objects and their energies. … keep checking dowsers.org for more!! When is Russell Targ speaking?